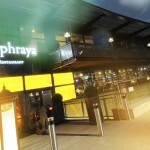 Located within open air shopping centre, Liverpool ONE, Chaophraya Liverpool is the perfect location for a well-deserved 12shopping break, evening meal or special celebration. 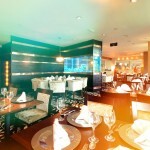 Set over two floors with a stunning alfresco terrace, Buddha wall and tropical fish tanks, the restaurant also boasts three private dining areas available for corporate or private events. 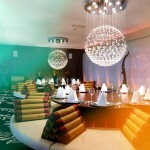 Chaophraya Liverpool is also home to Palm Sugar, Chaophraya’s luxurious bar. 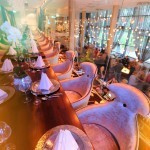 With a breath-taking 15 metre long granite bar, spectacular Swarovzski crystal chandeliers and a New York cocktail lounge atmosphere, Palm Sugar is a popular location for afterwork tipples, pre-meal drinks or a night out on the town. The bar is also available to hire either in part or in full for exclusive events. Please contact [email protected] for more information or call 0151 707 6654. Brilliant lunch time menu great value, beautiful setting, friendly and attentive staff! Excellent apart from TIRED LOOKING tables,chairs and some wooden decor. Needs revarnishing asap.